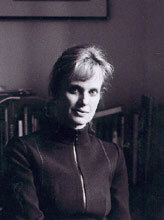 Siri Hustvedt was born and raised in Minnesota, and her work has been published in The Paris Review and Fiction, The Best American Short Stories 1990 and 1991. She is also the author of a book of poetry and three novels, The Blind Fold, The Enchantment of Lily Dahl and most recently, What I Loved. 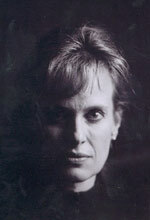 Siri Hustvedt lives in Brooklyn, NY with her husband and teenage daughter and is more or less working on her next novel. What I Loved is the story, as narrated by art historian Leo Herzberg, of two menLeo and his close friend artist Bill Wechslerover a twenty-five-year span in the hothouse of the New York art world. Their marriages, their wives, their children’s fates, the tragedies they face are vividly and poignantly presented against a parade of ideas and themes on social interaction, eroticism, hysteria and personal identity. At the root of this novel is Hustvedt’s oft-stated fascination with "why do we become who we are?" Robert Birnbaum: I’ve not read reviews of What I Loved, how do reviewers deal with the one "sudden and incapacitating tragedy" that occurs in this novel? Siri Hustvedt: Most people have been very moved by that section of the book. RB: Do they reveal what that tragedy is? SH: Some have. You know, this book has been reviewed all over the place. So I don’t remember everything. It came out in England, in France and Germany. Some reviewers have revealed the story—I always wish that they wouldn’t. Many people have been very moved by the book—that moment where everything changes. RB: I felt like I was punched in the face. It opens the second part of the book? SH: Yes, it’s the beginning of the second part. RB: I considered whether there should be a parental warning sticker on the book. SH: Actually, there were some at the American publisher, Henry Holt, who said the book should have a warning on the outside. Because many people have cried as well. I know in England that people came up to me and told me where they were when they cried. And that had a strange effect on me because I think it’s the only time in one’s life that you are happy that people cried. RB: How was it to write this book? SH: I have to say that I found that part of the book almost unbearable to write. And you have to imagine it very fully, and when you do imagine something so sad and nonsensical very fully, you suffer. It was hard for me to rewrite that section of that book. It was actually hard for me to go back and look at it. RB: I remember a few years ago starting to read Stephen Dixon’s Interstate, which I couldn’t get very far into, and then I did read John Burnham Schwartz’s book, Reservation Road—I don’t know how. Do you know those books? SH: I know both. The Schwartz book I’ve read. RB: I wonder if there is a bibliography of books that deal with this subject? SH: Well, it probably goes way back. When you think about loss, it is part of life, and I think it is certainly part of literature as well. I think nevertheless, there are different ways of treating the material. And for me it was very important that when the reader finished the book he or she not be depressed. I don’t find it a truly depressing book. The reason is that the narrator, Leo Hertzberg, holds on to the ability to love people, despite what happens to him. Actually, speaking of reviewers, someone in the Washington Post Book World said that at the end of the book the sadness felt like almost a kind of triumph for it, that it was liberating. That’s what I wanted. RB: That would be a mature view. That is, it requires some experience. I wonder what younger readers would think. I know in England that people came up to me and told me where they were when they cried. And that had a strange effect on me because I think it’s the only time in one’s life that you are happy that people cried. SH: I’ve often thought that it would have been impossible for me to write this book as a young person. My first two books are in a way initiation books about very young women. I believe a certain maturity was necessary to write it. I am not sure that maturity is necessary to read it. I can think of one notable example of a very young girl in France who came up to me after a reading and said she didn’t have children, she was nineteen years old and she loved the book, it meant a lot to her. She said she almost wondered, why (laughs). I suppose it depends on who you are. RB: I am thinking about your book in the context of the books one was required to read as a high school and early college student. Those classics that, for me, meant very little against my own life experiences. SH: I was somewhat different, in that way. I had great reading experiences as a very young person. At eleven, my mother gave me Emily Dickinson’s poems and [William] Blake and I loved those poems. I didn’t understand what the poets were saying, certainly not in every line. And there were some poems I didn’t understand at all. But I read the poems over and over and over to myself, and I had an experience of awe. I loved those poems. And then when I was thirteen, again my mother—who was a very big reader and a big reader of English novels—gave me David Copperfield, Wuthering Heights and Jane Eyre. At the same time I read lesser works like Hawaii by James Michener and Gone with the Wind. But those books had a huge effect on me. I ended up writing my dissertation on Charles Dickens. RB: So I guess you didn’t watch much television? SH: We had rationed television in my house. RB: You grew up in the Midwest? RB: That’s called the Midwest? SH: It certainly is. It’s the upper Midwest, exactly. RB: So you studied literature? SH: Yup. I got a Ph.D. at Columbia in 1986. RB: When did you think you wanted to be a writer? SH: I wanted to be a writer when I was fourteen. It was after I had been reading those English novels that I—I actually announced it in the local newspaper. You have to understand that I grew up in a town of ten thousand people. And there was a little column in the paper called "Teen of the Week." It was sponsored by a local clothing store and there was a big picture of me and they did an interview and I announced, not that I was going to be a writer but very pretentiously, that I was going to be an author (laughs). Very silly. I did have that ambition. And I wrote poems constantly all through high school. RB: To fulfill that ambition what did you do? SH: Well, I wrote. I didn’t publish anything until I was twenty three. By that time I was in graduate school in New York. And I had an amazing bit of early good luck. The first poem I ever sent out anywhere was to the Paris Review and they took it. SH: But then I had rejections after that. It was the first time I thought to myself, "This is good. This is something I am proud of." And I am still proud of that poem. It was the right thing to do, but I held off for years for years of writing really abysmal poetry (laughs). RB: Do you still write poetry? SH: No, but what happened to me was during the course of writing this book of poetry I got stuck. One of the reasons I got stuck was I read a lot of poetry and it was so great. And when I wrote something on the page it just seemed bad. And so I got constipated and I had a friend who was a teacher and a poet, David Shapiro, who taught at Columbia then. And I asked him, "David, I don’t know what to do, I can’t squeak out anything." And he said, "When I have that problem I do automatic writing like the Surrealists. It doesn’t matter what you say, just sit down and let it roll." And I did that and I wrote thirty pages in a single night. And then I spent the next three months editing those pages down to ten, and that was the first prose work I had ever done. It was a prose poem. It was not a real narrative. But there were narrative elements to it. And I never wrote anything in line after that. RB: I read in a Publisher’s Weekly Q and A that after your second novel you intended to write your next book with a male protagonist. RB: A curious choice of a character, a son of—do we consider Leo’s parents Holocaust survivors? SH: Well, I don’t call them survivors. I think of people who were actually in the camps. His parents fled the Nazis. And that’s how I think of that family. But he lost his grandmother and uncle and aunt and twin cousins. They all died in Auschwitz in the book. RB: Who is an art historian. I don’t want to fall into the cliched line where I say, "You are a young woman, why are you writing as an elderly Jewish art historian?" But nonetheless you made some choices here. What was the starting point? The story, the character? SH: This book has a very peculiar beginning. And a lot of my work does start in a very irrational way. I knew I was going to write it as a man. That was a technical difficulty that I decided on very consciously. What I didn’t know was what the story was going to be about. I had this insistent mental image in my mind of a very fat lady lying on a bed in a room dead, a corpse. I don’t know why or what this corpse was, but it kept coming back to me. I originally thought that perhaps my male narrator would open a door and find her and that would begin the story. But that took me nowhere (laughs). RB: That doesn’t show up in this book at all. SH: Yes it does. In the painting. In the growing and shrinking of those initial paintings. That’s how I ended up using her. But I honestly think that the themes of starving and eating and some of the themes of grief were initiated by that first image. So it started in a very irrational way and I’m not, of course, an entirely irrational writer, and I don’t mean to propose that. At the same time it developed very slowly over the course of six years. A lot of the thematic material, the repetitive thematic material comes from places I am not entirely aware of. And then I realized when I was editing the book, finally, that the way I edited the book was when there were sections that did not reverberate or mirror other parts of the book I cut them. So it does function almost like an echo chamber. RB: Some writers who don’t live in New York will talk about how they think there is an inclination in the publishing world that leans toward a certain kind of book and they call it a New York book. RB: Most of this book takes place in Manhattan, in the art and academic world. What could be more New York? Do you see this as a New York book? SH: Yeah, it is a New York book. And the setting is New York. The time period corresponds almost exactly to the time I have lived in New York. I arrived in New York in 1978 and this story begins in ’75. So I fudged a few years of not actually having experienced that time. But the rest corresponds to my life in New York. When I took it on I wanted to address that subculture but also the culture at large in some way. Earlier you asked about Leo being this old Jew. I didn’t want to have someone who was born in New York, and I wanted to have someone born outside the country because he does have the position of an observer in the book. He is a kind of exile, Leo. That was very important to the tone of the narration. RB: He is not a religious Jew. SH: Well, his uncle doesn’t leave. I read a lot about those families and it’s funny how you enter that world. I also have a Norwegian mother who lived through the Nazi occupation in Norway. I have always felt fairly close to a European sensibility because of that. RB: That was something of a digression because I was thinking about the New York book issue because it is occasionally offered as a complaint that the publishing world is stacked against non-New York writers—that editors and reviewers are more disposed to look with interest on this kind of a story because it is one that they have some knowledge of. SH: Well, it’s possible. I have had both experiences. My second novel was The Enchantment of Lily Dahl, which was about a young woman in a tiny town. A fictional version of my hometown in Minnesota. That book got a lot of attention in the Midwest because it was a book set in a world that people knew there and I think maybe less attention in New York because it seemed provincial. Though I have to say that for me that book was a kind of psychic map. It certainly used the Midwest and used that tiny town, but it was not a local color story. The other thing is this is my third novel. I’ve been around a little bit now. You think about, for example, Southern writers, how important they have been to American literature. A lot of those books have been set in very specific small places, I am not sure it’s true. … one of the great parts of being an American writer is that so much is going on here. It is exciting to the rest of the world, too. When I am in Europe people are quite excited about American fiction, and there is a sense that American writers are doing all kinds of different thingswhich they are. SH: (laughs) Eudora Welty has a very big reputation. America is a big place and it takes in a lot and one of the great parts of being an American writer is that so much is going on here. It is exciting to the rest of the world too. When I am in Europe people are quite excited about American fiction and there is a sense that American writers are doing all kinds of different things—which they are. There is a plethora of different styles. RB: Could it be that Europeans are more tuned in to American literature and trends than Americans are? SH: Well certainly some Europeans, that’s true. There is a very avid group of readers. It’s not always the same. It’s interesting about books that travel and books that don’t travel. Sometimes books can do very well in the United States and not elsewhere. They’re the mysteries both of publishing and of what speaks to people in one culture and might not speak to people in another. RB: Here in the US we seem not pay attention to world literature. SH: Yes, this is one great problem in the United States, that we do not import enough foreign writers. And when the Nobel Prize rolls around America is often embarrassed by not knowing who the writer is. Whereas in the rest of the world, these writers are very well known and read. One thing that American publishing needs to be taken to task for is not importing more writers from abroad. RB: I recently read in a Toronto newspaper that there was a correlation between fewer books being reviewed and book sales. SH: Fewer books are being reviewed. That’s absolutely true. The book world is shrinking to some degree. In the United States there are fewer forums for reviewing books. Book pages are smaller. But maybe the Internet is compensating for all that. I do think that is a somewhat free-floating forum for commentary. RB: I think you will be pleased and amazed when you see what is on the Internet. SH: When you ride the subway in New York you do realize that people read. I am one of those subway riders who is leaning to one side and leaning to the other to find out what people are reading. And people read everything. From self-help business books to Charlette Bronte. Everything. I find that quite moving. RB: Isn’t it strange how it translates into commerce. For instance, besides Brian Lamb there is no regular television presence of literary fiction. SH: When I was on tour in Germany, I did prime time German television. Now think about that. Eight o’clock in the evening, you are the main person on a television show. SH: No, I am just saying . RB: I am not making fun of you. That’s my aside. SH: It’s just there’s a different position of literature, and part of it is that there is a certain strain of anti-intellectualism in America. SH: …and anti-culture. I am trying to be diplomatic. RB: Why are you trying to be diplomatic? SH: I don’t know, Just because I generally am. That’s a partial explanation. I have always thought it was very interesting that in a country that was founded by intellectuals that this should be so widespread. And it is. There is an anti-culture, anti-intellectual presence in the whole ball of wax. That does makes itself felt. RB: Studs Terkel has managed to gain acceptance. I remember there was a longshoreman, Eric Hoeffer. SH: Yes, yes, yes, I think it’s because if you cloak yourself in a kind of populism then it works or can work. You notice, for example, that the right-wing ideologues in this country now always brandish a kind of working class …and none of these guys are working-class guys. They all come out of eastern universities and often from very wealthy families. But in order to make it stick they pose in a way as regular guys (laughs). RB: Those people aren’t even ideologues. There is no coherent thesis being proffered. They seem to be loud-mouth namecallers offering argument by nomenclature. SH: In the mediabut behind the scenes there really is ideology at work. RB: Who are the ideologues? William Kristol? SH: William Kristol definitely. William Safire is an ideologue. These are people who are part of the libertarian right. RB: He’s rather avuncular and unlike most so-called conservatives in that he has a sense of humor. SH: Absolutely. I wasn’t saying that. We had moved from name calling to ideology. He is some one who absolutely believes a pretty elaborately formed, thought-through ideology. It’s not one I share, but that doesn’t mean that I don’t recognize the intellectual foundations of it. Anyway, speaking of journalists in this book there is [the character Henry] Haaseborg. SH: Yes, but I think that happens. Also the way Bill’s work (William Wechsler, one of the main characters in the book, is an artist) is treated by journalists in the novel is, it’s noted that European journalists are appreciative of the material. And that a lot of the Americans are annoyed by the fact that he seems to be posing as not a regular guy. RB: And they are compelled to think about his work. SH: Right, he is not a sound bite. RB: There is a good deal of social cultural critique here. RB: Henry Hasseborg reminds me of this list of 50 loathsome New Yorkers that one of those snarky Manhattan magazines published. So, I thought the text was clever and funny but what was the point? SH: There is a lot of spite, and fame creates spite, and there is a little passage in the book that says that, "No matter how small that fame may be, whether it’s on the school yard, in the board room or in the culture at large, people make sport of taking others down." That is an ugliness about human nature. RB: It’s not about New York? SH: New York may be worse because it’s a bit of a hot house. Of course, New Yorkers do feel that they live in the center of the universe. RB: I wasn’t unhappy that the editor of Maxim was the number one person on the list. Or that Henry Kissinger was on that list. RB: What’s it like to be in a two-writer family? This is one great problem in the United States, that we do not import enough foreign writers. And when the Nobel Prize rolls around America is often embarrassed by not knowing who the writer is. RB: Are you saying that both of you went through this apprenticeship at the same time? SH: He is eight years older than I am. So I was behind him, and I am also a much slower writer. It took me four years to write each of the first two books. And six to write the third. Paul has kept up with a steady pace of publishing— just about every two years. And he is just at the very, very end of another book. RB: And he does other things, also. SH: He’s done movies. He’s very prolific. But I think because we in some sense have shared the ups and downs of literary life together for so many years that it’s almost like breathing. SH: You want the logistics? RB: If you work off something of the stereotype that writing is a solitary occupation and that there is not always a connection to the real world or that your connection ebbs and flows, when two people occupy that universe in one household, that’s what I wonder about. SH: We both work every weekday. Sometimes Paul works on the weekend. And I work from about eight thirty until about three and then stop and rush out and buy dinner and do yoga. Paul often takes a break for lunch and he goes back and works until five or six in the evening. So we are in that strange place of the book most of the day. I think it helps however because the fact that we are both doing that is helpful in understanding what a strange business it is to do it. And I also am very attached to domestic life and we have a daughter who is fifteen and is still at home and going to school. I immerse myself very deeply in the practical aspects of life as well. Usually I forget about the book until I am going to sleep at night and then I listen to the characters talk to me. Or just talk in my head. Often those conversations don’t appear in the text. RB: You are conscious of these conversations? They aren’t dream conversations? SH: They are conscious—I suppose in some way what you are doing is manufacturing these dialogues. They don’t (chuckles) feel like that, it’s like you are just listening to them. RB: Do you and Paul read each other? SH: We do, but it functions in a different way. Paul reads to me about every two weeks. Aloud. When he has finished a section he will come and read it to me and ask what I think. I have to say most of the time I am for it. But it does happen that I think he has jumped off the deep end. And I don’t think there has ever been a moment when he hasn’t taken my advice. With me, however, it takes me a long time to produce a draft and with this book he read four different drafts over the course of the six years. It could be a couple of years between him seeing the book. But then what he said was very important to me. RB: How large were these four drafts? SH: Well (chuckles) it grew and shrank. The penultimate draft was about a hundred and fifty pages longer than the end novel. But they also were written over from scratch, on a blank page. It was the same story, essentially, but I need the momentum of making new sentences, doing it all over. RB: You aren’t writing on a computer? SH: I mean that I don’t work over it. I just start on a blank screen. That’s the correct term, a blank screen. RB: How much of your lives are occupied with by publishing events and activities? SH: For this book, including the European publishers, I have been doing interviews since September. RB: Hmm. That’s over half of a year. SH: I feel like I have been talking to the press eternally. But I decided for this book I would just—it’s turned out that I haven’t done everything I was asked to do. But I was going to do a lot and I have done a lot. RB: So that’s for the initial publication. What about when you are both writing books and living your lives, do you go to book-publishing parties and whatever? SH: Only for friends and that’s at night, so it doesn’t interfere with the work. But we have a number of friends who are writers and we go to their parties and read their books. RB: And you have non-writer friends? SH: Yes, we do. We also have friends who are not writers (laughs). We do not live in a literary bubble. Plus, I have three sisters that I am very close to— two that live in New York. My youngest sister is an architect. The number three sister is given an acknowledgement at the end of the book. She is the one who is currently writing a book about hysteria. And my number two sister lives in Minnesota and she is a businesswoman. So their worlds are deeply a part of mine. RB: Could your family leave New York? SH: Not now. I wouldn’t want to leave New York now. I love New York. Also, after September 11th, in some way, the romance that I have had with the city for many years was only made stronger. RB: Let’s talk a little more about What I Loved. Leo is the main focus, the other three characters of the two couples and the children are also well developed and are quite complicated. This a large ensemble. Actually, the three women are very complicated. SH: Yeah, they are all pretty complicated and I think, for me as it took a long to write—the characters did grow. One of the earlier drafts I thought Erica [Leo’s wife] was given short shrift and she developed more over time. It’s as if they are real to me. RB: How does this novel feel against your first two? SH: Well, it’s more ambitious. It’s a larger book and takes on bigger seams of ordinary human feeling. SH: In The Blindfold I explore—it came out of a little experience that I had—I left that experience with a feeling of the uncanny. And that book tried to treat some of the ambiguities of that feeling. So it was quite specific. That is not love, loss, grief. That is some very specific avenue of human experience that fascinated me. Also power relations in that book were very important and the experience of being feminine and vulnerable and the second book was sort of an allegory of psychic life, in a way, played out in this small town. But again, the mysteries were not about family, being a parent, being a child. It’s broader, bigger meatier seam, in some way. I chose to take it on. I think there are writers who develop more quickly than I do. But just wasn’t able to take on that material until I was in my forties. RB: Is this book all you wanted it to be? SH: Uh, when I finished the book I thought to myself, "I’ve done it." I remember thinking that if Paul doesn’t like it I’m just going to kill myself (laughs). Not really. But I also felt like lying down on the floor and weeping for four days. I did not do that, but that’s how I felt. Because I really pressed myself to the limit in the sense that I—in terms of my own ambitions, I feel that I did do it. RB: What are reading from on your tour? SH: I mostly read from the early part of the book. Although I was in Iowa City at Prairie Lights and I read the Iowa City part of the book. (laughs) I couldn’t resist. The part where Leo had a moment of Jewish paranoia and he feels like "a gaunt Jew in a sea of overfed Gentiles." People did not find that as funny as I find it. Of course, I come from that part of the Midwest. Iowa and Minnesota are very closely linked. RB: I come from the Midwest. I know the geography. RB: Prairie Lights— were there lots of writers at that reading? SH: I have been very pleased to have a number of doctors and psychoanalysts and scientists show up at my readings. This pleases me beyond belief, I have to say. There does seem to be subsection of my readers who are professional people. RB: Your acknowledgments indicate your attention to the scientific literature on some of the issues that are in the novel. SH: I was deeply happy to get a beautiful letter from a cellular biologist in Cambridge, England who was really very moved by the book and tried to explain a little of what they are doing there. The questions that the book brings up about why we become who we are is a question that is asked in a number of fields, not only philosophers ask this question but certainly a number of scientists. He mentioned the fact that a lot of this neurological cellular research is connected to [Martin] Charcot discoveries of a long, long time ago. And he was looking for lesions of the brain that would explain things. And, of course in hysteria there are no lesions and that jumped started Freud, really. Freud visited Charcot. This scientist did say that they know a great deal about organic illnesses but the psychoses remain very mysterious. I found that out when I did research on personality disorders. It’s very hard to track and it’s very hard to find organic reasons for them. Or for many of them. RB: Which is why psychopharmacology seems so hit or miss. So we are in that strange place of the book most of the day. I think it helps, however, because the fact that we are both doing that is helpful in understanding what a strange business it is to do it. SH: Yes it’s a strange business. Often what happens, as we all know, when people are doing research for something else or curing someone for something else they realize that medication clears up their skin or takes away headaches and that they start using it for that reason. It’s not because they have gone way back to beginning and found the original problem. SH: (laughs) I have a title and many thoughts about a new book called The Sorrows of an American. I am finally going to treat something that is so very deep to me, which is immigration. RB: That’s a working title? SH: I know that’s the title. "This doesn’t sound like a small book." I said, "No, I don’t think it is a small book." RB: Is that the way you start, with a title? SH: No sometimes it comes to me and other times I have been working for a couple of years before I know what the title is. I have a feeling this title is really going to stick. I am also finishing a book of essays on painting. So I do other writing as well, a collection of essays on different painters. I am finishing an essay on Goya..
RB: Goya figures in this What I Loved. RB: Well, thank you very much. SH: Thank you for having me. Posted in Author Interviews and tagged Novelists, Poets, Robert Birnbaum, Siri Hustvedt, What I Loved. Bookmark the permalink. Trackbacks are closed, but you can post a comment.